Mythos 2. The Beginnings of This Incredible Coffee Grinder. 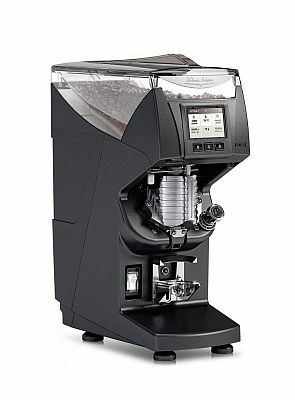 Most Of All A Commercial Coffee Grinder Like Never Before. Worlds Finest Commercial Coffee Grinder. Inside four years. Mythos One Hads Charmed Many. The perfect accomplice for each coffee espresso proficient machine. Today. Victoria Arduino astounds us all again with Mythos 2. Due to the espresso processor which utilizes the creative Gravimetric innovation. Which e at koffeeone can hardly wait to see every Cafe utilizing The Mythos 2 as a part of Their Unique coffee experience. The Grinding Accuracy In A Commercial Grinder Never Seen Before. None knows the precision of work superior to Victoria Arduino. It has licensed the Gravimetric innovation which has changed the standards of Espresso proficient coffee machines. This innovation today is likewise connected to the very critical phase of the perfect espresso coffee shot. With Mythos 2. Like never before the dosage of ground espresso is estimated with outrageous precision. Through its real weight. Therefore guaranteeing the best thickness. And, together with the gravimetric machine. The assurance to constantly offer your customers a life-changing Espresso. Technical Sheets Of The Mythos 2 Coffee Grinder .